Yep, more plastic to buy! LEGO games are still doing well to this day, and for good reasons! But as the toys evolve, so must the ways in which they can be played. Enter the latest title in the LEGO video game library, LEGO Dimensions! 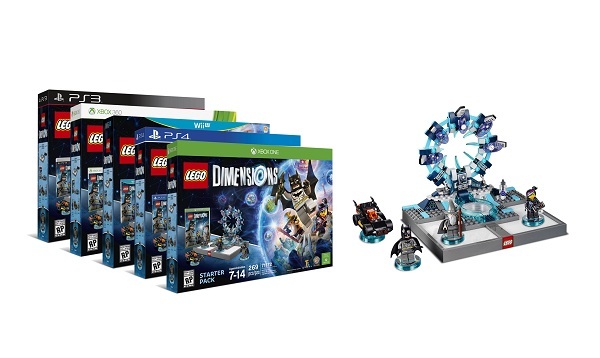 Warner Bros. Interactive Entertainment and The LEGO Group announced that they will be bringing us a brand new LEGO title that will bridge the gap between playing with the physical LEGO toys and playing with the digital ones called LEGO Dimensions. This platformer is supposed to span over a large assortment of LEGO series, such as: DC Comics, The Lord of the Rings, Wizard of Oz, Back to the Future, even LEGO's own Ninjango and The LEGO Movie! A mysterious gateway has opened up in the LEGO multiverse, where all the different series of LEGO have begun to intersect and mingle with one another. Despite the differences in each universe, all must work together to battle a new evil that threatens them all. What's interesting about this game is that Traveller's Tales will be taking a page out of Skylanders and Amiibo! This will be the first instance in any LEGO game to date where players can bring their physical LEGO creations into the virtual game world and interact with them!. Dimensions will be offering a LEGO Toy Pad (the figure reader) that allows players to transfer specially designed LEGO minifigures and other items into the game. 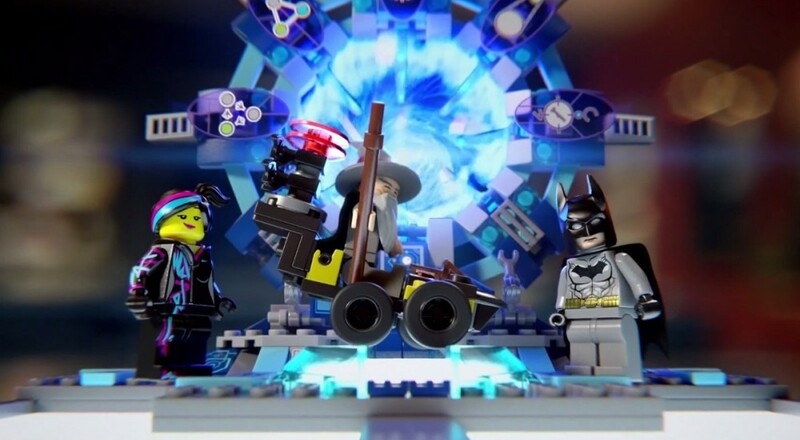 Additionally, a LEGO Gateway, three LEGO minifigures (Batman, Gandalf, and Wyldstyle), and a LEGO Batmobile will all be included in the Dimensions Starter Pack to begin in this epic LEGO universe crossover. While the first Starter Pack will be available with the game at launch, there will (of course) be many more expansion packs to come in the future, with most of the LEGO series previously mentioned. More on these packs will be revealed closer to launch, but the expansions will continually release well into 2016. "Highly collectible Level Packs, Team Packs and Fun Packs will provide new buildable characters, vehicles, tools and gadgets, as well as compelling game content with new mission-based levels and unique in-game abilities. All expansion packs will feature well-known properties and provide gamers the opportunity to use everything interchangeably, anywhere throughout the game – with no limitations." We even heard a rumor that one of our favorite game series, Portal, might also be included in this title as well! In a pulled listing found on Walmart's website, there was a Portal level theme pack included amongst the future expansions for the game, along with ones such as Jurassic Park, The Simpsons, and Scooby Doo. A Youtube video also uncovered the possibility of Chell being a featured character in the game, as shown on the character list featured on the Xbox One game box. 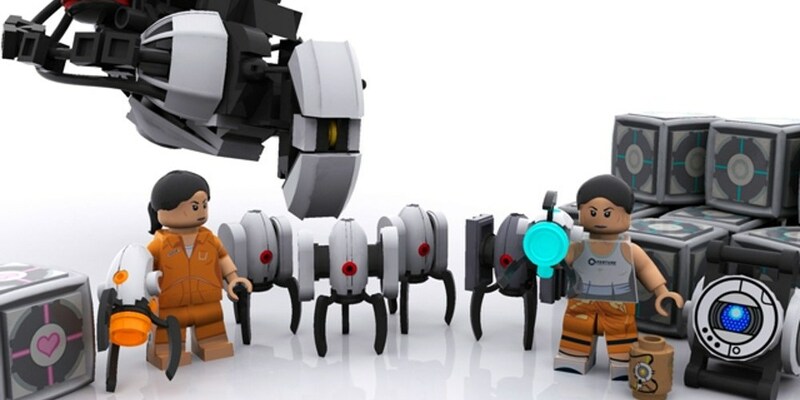 It's interesting because Portal currently doesn't have a LEGO series available. So, if that's true, the possibility of other franchises being in Dimensions could be a reality. LEGO Dimensions will be releasing this September 27th on PS4, PS3, Xbox One, Xbox 360, and Wii U.